There was much opposition surrounding the knighting of Sean. Does Al Qaeda's Flag Mean Liberation in Libya is Flagging? 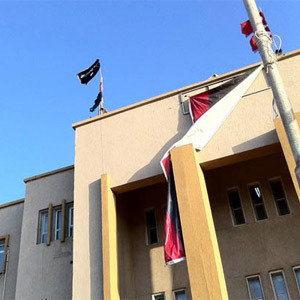 The camera doesn't lie: another flag is seen flying above a public building in Benghazi.